before the starting of business. Extension/Setting up of new unit of existing business. 1.Expenditure on preparing feasibility report,project report,market survey report,engineering service related to business. 2.Legal charge for drafting agreement between assessee and some other person . In case of public limited companies fees regarding Printing of prospectus of issue of shares /debentures or payment of Underwriting Commission. 4. Other expense as may be prescribed . 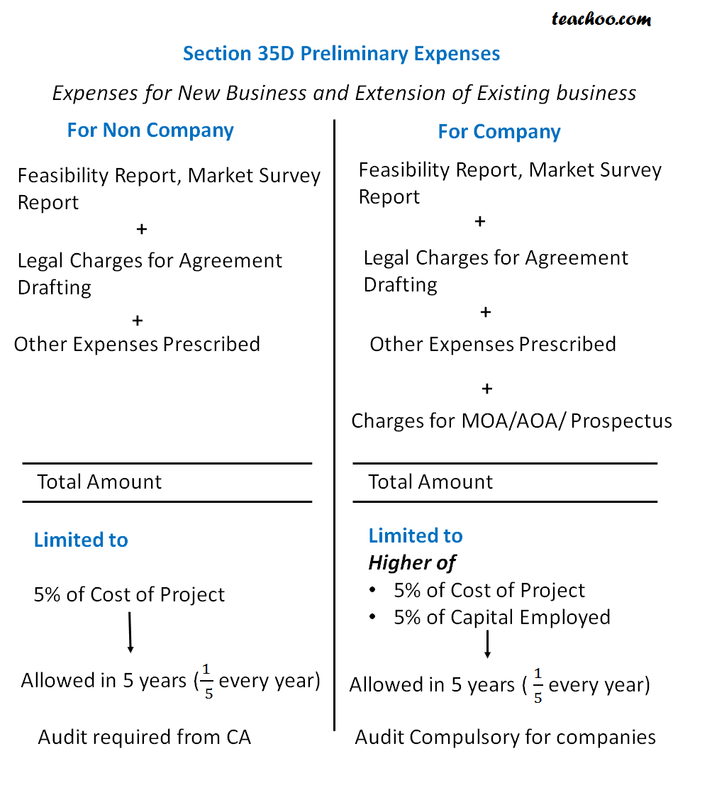 Non companies also have to get their account audited by CA and get Audit report in Form 3B.